Leave your vinyl and USBs at the door. Berlin boasts some of the most notorious clubs in the world. At many of these establishments, vinyl records and USB sticks are as important as cocktails and beer. 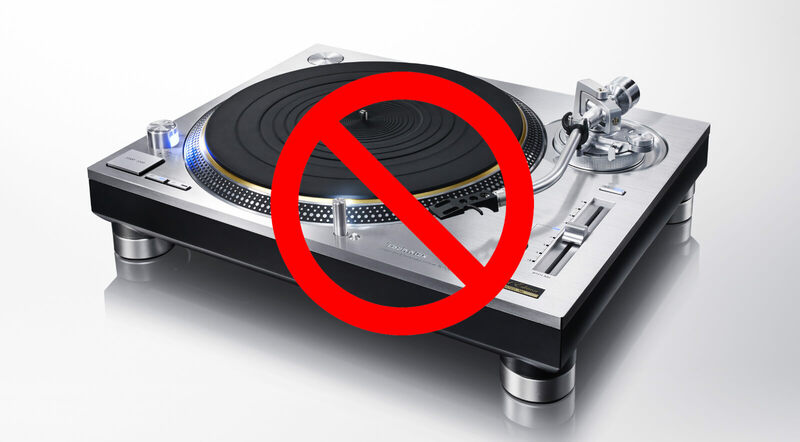 One club, however, is taking a stand against the accepted norms of DJ culture. It seems the idea has been adopted by some respected DJs as well: Legendary electronic outfit Coldcut will headline a party there this Friday for a Ninja Tune afterparty. While we appreciate the gesture of pushing DJing into weird new directions, we hope this doesn’t catch on too much! Read the club’s full announcement here. Find out about the culture surrounding vinyl obsession below. Read more: Do good DJs really need to mix?